Enter your email address and choose your notifications for MTS - Clash Fully Loaded Pre-Workout - Grape Splash! MTS Clash is BACK! Fully Loaded, re-formulated and reaaaady to get you ready for an awesome workout!! We LOVED the previous MTS Clash formula so once we heard Marc had spent some time reformulating to make it MORE awesome...it was a no brainer. Focus, Nootropic feels, Mind-Muscle Connection, the PUMP, PLENTY of Energy...CLASH is all you need in one! This stuff is blended with patented formula's left, right and centre. Scientifically dosed because you simply can't argue with #SCIENCE right!! Marc wanted to make a pre-workout our bodies where unable to get used to....no more cycling on and off and changing stims because your body has 'gotten used to them' - with the help of Teacrine and it's anti-habituation effects! Clash was created with performance and improved body composition in mind. Combining powerful research-proven ingredients in a fully disclosed formula to power your workout, supporting muscular endurance giving you a hefty boost of caffeine (250mg per serving) teamed with Beta Alanine to get you moving whilst also beating muscular fatigue! Warning: This product is only intended to be consumed by healthy adults 18 years of age or older. Pregnant or nursing women should not use this product. 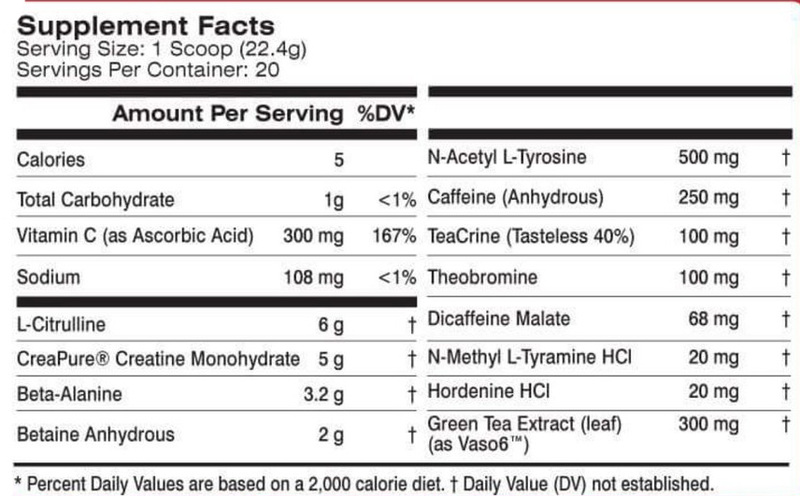 This product contains caffeine and should not be taken by individuals wishing to eliminate this ingredient from their diet. Discontinue use 2 weeks prior to surgery. Do not us in combination with caffeine or any stimulants.